BMC Imports offers the drink of the czars with its two new vodka releases, The Jewel of Russia Classic and the The Jewel of Russia Ultra. Made from a centuries-old recipe, The Jewel of Russia Classic is made from hard winter wheat and rye and deep-well water, according to the company. This classic offering comes in a 300-year-old bottle design with a silk-topped cork and a red wax seal emblem. The Jewel of Russia Ultra is a limited-edition vodka that undergoes additional rectification and slow-flow filtration to achieve even higher purity and smoothness, according to the company. This ultra-premium spirit is encased in a handpainted bottle, which is created and signed by Russian artists living in a small village outside Moscow. Each bottle is numbered and the supply is limited to 10,000 bottles. Available in 750-ml. 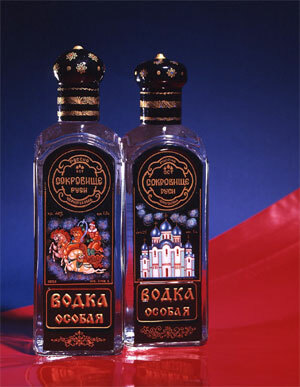 bottles, The Jewel of Russia Classic retails for $28.95 and the Ultra retails for $49.95. For more information, contact BMC Imports at (203) 359-4410.